Hannah Solar is a full service, NABCEP certified solar integrator dedicated to providing the very best in engineering, products, installation and service with offices throughout the Southeast. Headquartered in Atlanta, Georgia and comprised of a Certified Solar Photovoltaic Installer (NABCEP), licensed Professional Engineers (PE), Master Electricians, service technicians, project management professionals, designers and installers, Hannah Solar serves our clients as a reliable and experienced resource in sustainable energy integration. As a leader in the field, Hannah Solar delivers meaningful energy production which creates favorable economic return, environmental benefits and positive experiences for our clients – always and without exception. We are a leading solar integrator in the Southeast and is Georgia’s largest turn-key engineering, procurement and construction (EPC) firm—successfully having developed and built over 75 Megawatts (MW) of solar projects for a wide variety of commercial, industrial and agricultural clients—everything from high rises to low fields. We are a dynamic, tenacious and steadfast group, driven by purpose, innovation and the desire to develop and build the best, most reliable solar systems we can—utilizing the latest industry technologies and the most effective construction techniques. And most importantly, we’re good people to know and do business with. 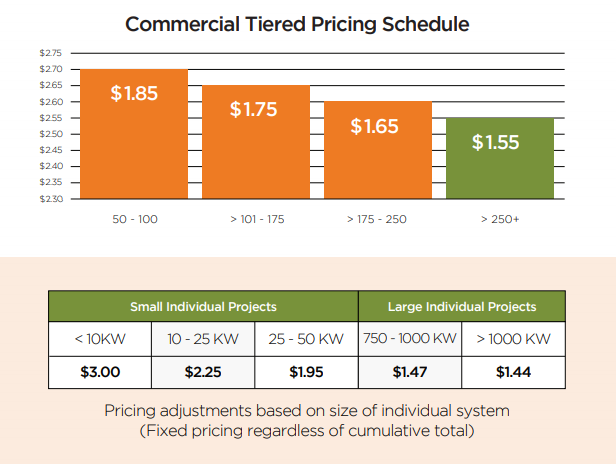 We recognize that your business is unlike any other and that a solar system is a big investment. That’s exactly why we’ll always look to find the most cost effective, right-sized solution that’ll yield the highest ROI for your business. Hannah Solar has continually been successful in providing businesses with solar energy systems that meet maximum production output and create favorable economic return. We deliver exceptional experiences to our clients by completing the installation of your system on time and without interrupting your daily operations and routine.